As detailed this past September, there are a number of advantages associated with using cloud technology. For individuals and businesses alike, this primarily means an incredible new ease of use. Just think about it: As an example, let’s say you purchased and downloaded an album on iTunes. Then, a month later, you realize it’s time to upgrade to a new computer or smartphone, but you don’t feel like transferring over all the music you have bought. Well, it’ll be right there waiting for you once you sync your new device with your iTunes Store account. Just give it a chance to download and boom, you’re good to go. Another great example, but more so on the business side of things, is the streaming movie service Netflix. It’s been dubbed “the biggest cloud app of all” by ZDNET and with good reason: It apparently makes for around one third of all Internet use at its peak hours all while running from cloud-based tech. As you might imagine, what cloud-based systems truly equate to is a stronger and ultimately much more efficient bottom line for consumers and businesses alike. Gone are the days where you, going back to a previous example, scratch your favorite CD by accident and are forced to buy a new one. The cloud is your back-up, your just-in-case, and it makes sure that you’re not over-spending on goods on which you have already spent your money. The same concept applies to businesses, both large and small. According to this great article on LinkedIn, companies can save millions upon millions of dollars by switching their IT services to a cloud-based service. The example given in that piece is of Revlon, which moved “500 of its IT applications to a secure private cloud” and saved an impressive $70 million in just two years. It also outlines that smaller companies are now capable of getting the same enterprise-level software of their larger contemporaries. This allows for a more varied and competitive marketplace, which can lead to better prices and technology for the consumer. But, believe it or not, it’s not all about money. Security is also a major component of why cloud services have become so successful. ShareFile, one of the industry leaders, is particularly proud of its services when it comes to security. Yes, there is also an ease of use, a wide range of options, and file accessibility across multiple platforms. But what stands out is the ensured privacy when you’re sending and receiving confidential files (that can be up to 10GB) as part of your business. 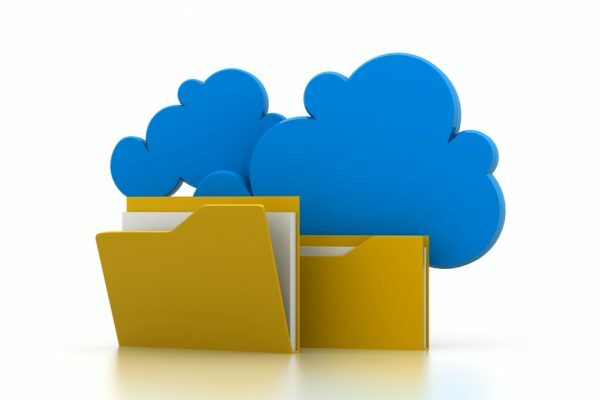 In addition to encryption up to SSL/TLS 256-bit, you can determine exactly what each user sees in your cloud-based file system. That type of high-level online security means more than just what a particular company has to offer. It can and will lead to improvements across the realm of cloud services, meaning others will strive to catch up and even take the lead. This will only create a more refined and intuitive system moving forward into a time when physical hard drives may very well just go the way of the Dodo. That, of course, will also mean that the technology within computers themselves will have to see a similar change, but it’s one we’re all eager to see happen. Next story Philips announce playful and portable speakers and headphones this CES!